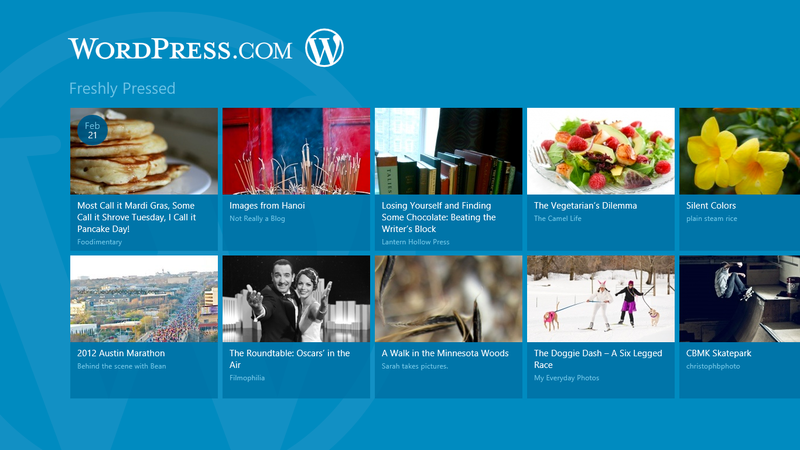 Today Microsoft unveiled the Windows 8 Consumer Preview at Mobile World Congress and demoed our new WordPress.com app during their presentation. I was able to be a part of a great team at Automattic (including MT and Stephane) that built the app. The app creates a beautiful reading experience for browsing the WordPress.com Freshly Pressed posts and the ability to like and reblog the post you are reading. It also includes some great social features that makes it easy to share content from other Windows 8 apps to your blog effortlessly. The app is free and is already available in the Windows Store, so download the Consumer Preview and check it out! The app is also open source so have a look at http://win8.svn.automattic.com if you’re curious about developing for Windows 8. Wow! That is very cool, Dan. Congratulations!!! !